While he says this Glock doesn't fit his way of use, he does give it a pretty good review. Here are some differences compared to the Glock43. The width of the slide of the 43X is exactly the same as the 43. However, the 43X frame is a little wider, We cant say we like the idea of an all-new magazine design that isnt compatible with older models. 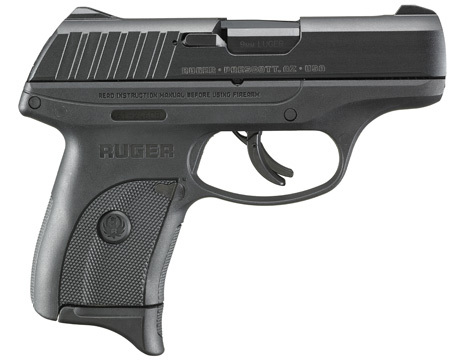 Still, this firearm is probably one of the best option for anyone looking for a "boring reliable" 9mm defensive handgun. Yes, the 43X is a little bit larger in physical and magazine size than the 26. The only negative that Hikock45 says is that its too big for him to carry in his pocket. Hickock45 prefers pocket carry than holsters carry, when he's not packing a Glock its usually a 642 S&W, LC9 or a PM9. See the rest of this Glock 43X. Guess this is Glock’s attempt to keep up with Sig and their fantastic P365. I switched over once I saw the P365. It fits my hand perfectly, almost same size as the Glock 42/43, and is 12+1. Beautiful gun. The Glock 43x is too little, too late. I wonder how Hickok 45 feels about you ripping off his work. I own Sigs and I own Glocks....love to shoot the Sigs......only carry the Glocks. I really like the 43 X. Its what I am carrying right now in SWFL. Been carrying a 21SF on the job for quite awhile now. Glock has manufactured so many hybrid variants that one would think at some point they’d finally get it right. You can always tell when ‘Am Shooting Journal’ has plagiarized something, because it’s actually in readable English. Just order a Sig P-2022 from Cabela’s on special order in FDE. The P365 is a masterpiece. The first “plastic” gun I’ve liked. Not only is it tiny, but it performs flawlessly, and the perceived recoil is very light. A carry gun depends a lot of what clothing you wear, how much weight you are willing to carry, it's size, SHAPE and your choice of holster. What I tend to find the hardest to conceal are sharp angles (Glock bad) and longer heights (Glock 27 excellent). Yesterday, just to try, I carried a Beretta 92 "compact" - which isn't very compact, but the rounded corners hid surprisingly well. Big gun, though! Just looking...the Glock 43X is almost as tall as my Beretta and has sharper angles. If I was considering carrying it, I'd choose my Glock 27 instead - almost an inch shorter, which is easier to conceal than the 0.15 inch difference in thickness. Best to just skip over any review/advice ASJ might have (their free advice is worth about what it costs) and go straight to Hickok45. Thanks to Squantos, I bought one. Very nine little 9 and carries well in a made to fit Black Point holster. I carry mine in a tuckable DeSantis (Sof-Tuk, although the Pocket-Tuk is nice too). Hardly know it’s there. Saw a 43X today at Ron’s, and wasn’t impressed. It’s a fair bit larger than the 365. Also saw a NIB Colt ELCEN (high polish stainless .38 super NIB)... what to do, what to do. That bad boy with some Mastodon Ivory grips would be sweet. Hoo boy. That's kind of a BBQ gun just as is. Bet they're proud of it too. Yep, but what the hell. That and a custom rig from Purdy Gear would be sweet. Hell yeah, and the Mastodon grips would be icing on the cake.